Powered by a unique XAI algorithm, DecodeChess is the first & only chess analysis software that explains the recommended chess moves of a chess engine (Stockfish). 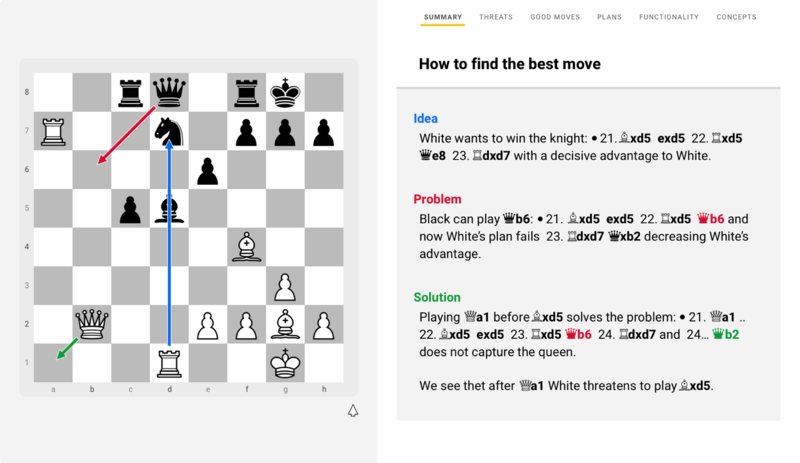 Available online and served through a friendly and engaging user interface, DecodeChess can help you improve your skills and win more games by providing feedback on your chess moves. Threats: Opponent threats and what is left of them after playing the best move. Good Moves: The best moves in descending order. Plans: Learn how the best move supports future player plans. Functionality: Review the functions of each meaningful piece in the decoded position. Concepts: Important positional and tactical motives relevant to the decoded position. Our computer opponent adapts to your game style and responds accordingly to create a balanced game experience. 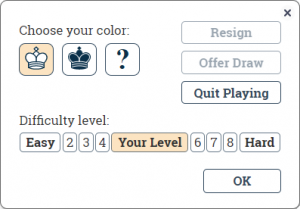 In addition, you can decode positions as you play, to create a personalized instructional chess analysis mode! We are here to help you win more moves and to become a better chess player, by adding a dimension to chess analysis that was so far out of reach. We are delighted you can join us on this chess adventure. Understanding Chess and AI has been a great source of interest and inspiration for us for a long time. We worked to combine these two worlds for several years and are excited with the results which we call DecodeChess: a tool that promotes chess understanding for the community of chess players. There is still much more to come, we hope that you enjoy DecodeChess and help us expand this exciting project.